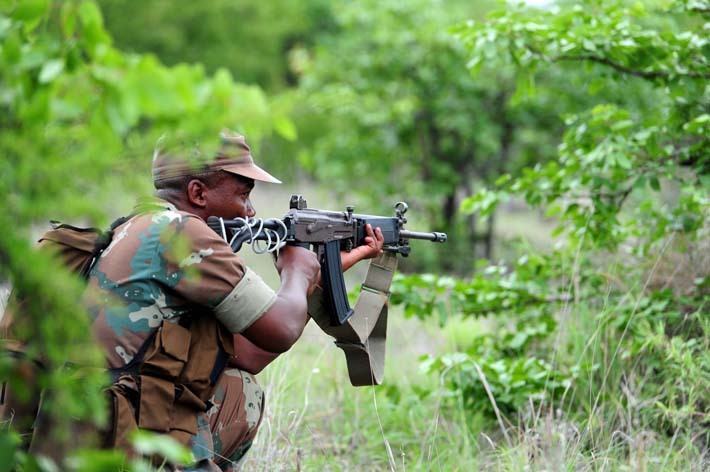 A ranger shot and killed a suspected poacher at the Zululand Rhino Reserve, near Hluhluwe, KwaZulun-Natal, earlier this week. Two suspects escaped on foot, and one in a drop-off vehicle was arrested, Zululand Observer reported. Tuesday’s incident was the fourth poaching incident at the reserve this year. According to Zululand Rhino Reserve general manager Karen Holmes, the reserve has been faced with numerous incursions and poaching attempts. “It has been taking a toll on our resources, but it is encouraging to see the state and private sector combine their resources and expertise, which then result in successes such as this,” Holmes said. KZN spokesperson Major Thulani Zwane said a firearm was found on the body of the 22-year-old deceased man. He added a case of murder has been opened at Mkhuze Police Station. No further arrests have been made. Last year, two rhino poachers were killed and six others arrested in October. The six arrests and the shooting of the two poachers happened in two separate operations, according to SANParks (SA National Parks). A hunting rifle, ammunition and other hunting equipment were recovered from the scene.